Are you ready to race through the 46 ft of this challenging obstacle course? See how fast your can crawl though the maze of obstacles. Go through pillars, Slide, logs and see who is the fastest to the finish line! Made in primary color, this obstacle course will color match almost any of our inflatable slides, interactive games and bounce houses. 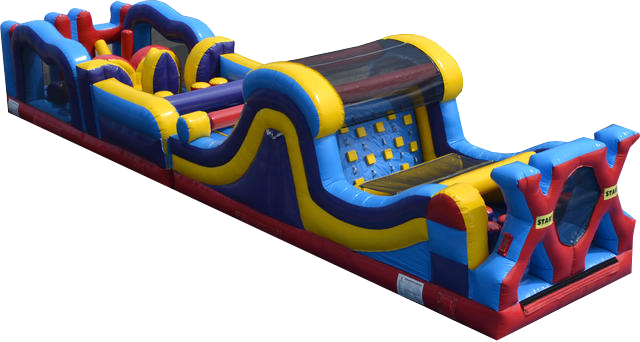 Do you want to see a video of this inflatable obstacle course?